For years, articles have crossed our social media feeds and (before that) e-mails about the benefits of tabletop roleplaying games. Whether this focus was because of purposeful research into applications of RPGs or merely to stop the backlash and negative stereotypes is irrelevant – the point was, RPGs can help people. Some articles explored how roleplaying could help people who are neurodivergent (like autism or ADHD) break down social barriers and learn socialization skills. Others investigated the use of RPGs as a therapeutic tool, providing an outlet for emotional disorders and confront personal obstacles. RPGs can even bring positive experiences to the marginalized, from the disabled to the underserved. The gaming community often applauds these articles; they vindicate the view of RPGs as “nerd stuff” and reveal how the hobby can help society. Yet, they also seem intermittent, showing up and then disappearing into the aether of the Internet. Luckily, some people do precisely this: research, collect the studies and discoveries and then create programs that use RPGs in every beneficial way possible. It turns out, an organization like this has existed for over a decade, with its foundations stretching back even further. 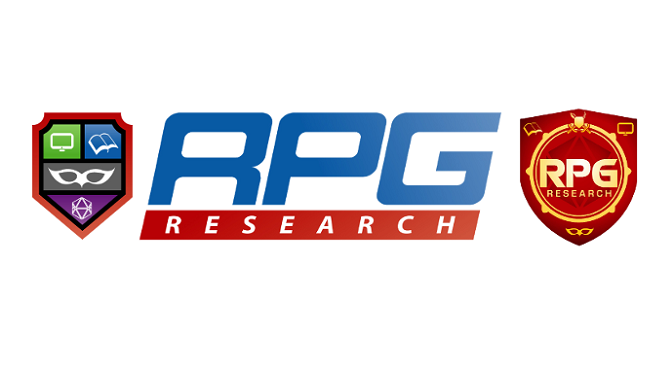 RPGResearch, located in Washington state, is a non-profit charity that correlates the latest studies, including their own, on the benefits of RPGs. The organization then applies this information to community services, which in turn provides in-field experiences that feedback into their research. Some readers may be familiar with this group through their famous “RPG Trailer” and “RPG Bus,” portable, wheelchair-friendly vehicles that offer roleplaying experiences. These programs, which appeared on news stations, are only the tip of the iceberg. RPGResearch also offers services to at-risk youths, individuals with autism, the Deaf and Hard-of-Hearing, and therapy resources. From LARPing to pen and paper, this organization uses community outreach to provide services where needed. Now, the downside is these services are centered on the organization’s location Spokane, which means you probably won’t see much outside Washington state. The group does provide many online services, however, that prove invaluable. For one, nowhere will you find more studies, projects, etc. than their online repository and archives. From published research articles to videos to FAQs, anyone across the world can access this vital information. Similarly, although RPGResearch is in Spokane, they do have ties to individuals and groups across the United States. Although there may not be an organization of this type in your state or metropolitan area, there are people to network with, and the possibility of new groups exists. In fact, I think this is one of the essential aspects of RPGResearch that needs more exploration: using their model to form new research and community outreach groups. I was shocked to learn we had nothing similar, not even a single therapist or group, within the DC/Baltimore area. Given the substantial tabletop gaming presence, not to mention the high populations with special or specific needs, a non-profit like this would be invaluable. ASL gaming campaigns held at Gallaudet or Maryland School for the Deaf campuses? Therapist-controlled LARPs providing interaction for the 1 in 60 children with autism in Maryland? Community programs providing D&D for at-risk youths in Baltimore and DC? Although it’s possible individuals are participating in services like these, they don’t appear to be coordinated or publicly listed. Given the large intersection between gamers/geeks and those with special or specific needs, this lack of organization is troubling. For now, though, RPGResearch looks to be one of the most valuable resources to those interested in RPGs and the benefits they bring. We know we’ll be looking to them in the future the next time an article shows on our feeds discussing the latest in gaming therapy and community outreach. To those in the DC/Baltimore region who have the experience and education? Who would like to intersect human services and gaming?